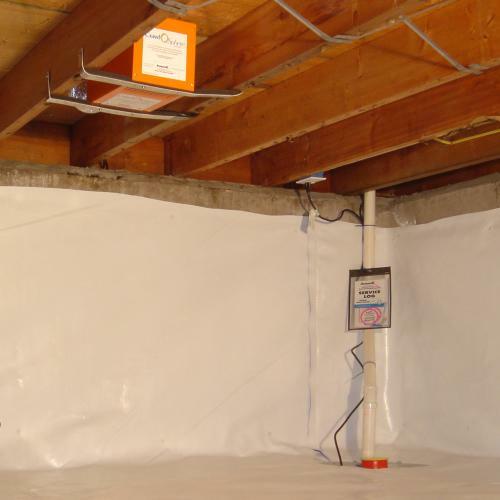 Installing a sump pump and waterproofing system is the least disruptive and most effective way to keep a crawl space dry - and keep it dry all the time! The following are steps our crawl space waterproofing technicians take when installing a sump pump system in your home. At Mountain Crawl Space, Inc., our certified crawl space waterproofers can install a complete sump pump system in just one visit to your home! For a FREE sump pump installation estimate in Colorado, including Grand Junction, Montrose, Clifton and other nearby areas, call or e-mail us today! Sump pumps are most effective at removing water from under your crawl space floor when located in the lowest spot of the floor. A special outlet connects a drain to the sump pump system and clean gravel is backfilled around the sump pump liner. An airtight sump pump lid including rubber grommets around all pipes and wires, keeps odors and humidity from rising out of the sump pit, while also preventing items and debris from falling in from the crawl space floor. Our sump pump installation crew takes extra care to leave your crawl space clean, neat, and clear of debris for you at the end of the installation. Dust is cleaned from the crawl space floor and the discharge line outside is inspected to be sure that the water is being discharged to an appropriate location. We remove all debris we create, and most times customers comment their crawl space is cleaner than before we started! Once your crawl space is protected from water seepage, it's a great idea to take advantage of the cleaner, drier, more attractive area as storage or living space. If you don't already have one installed, be sure to ask about our battery backup sump pumps, as well as our crawl space wall coverings, ENERGY STAR® rated dehumidifier, and other crawl space products that can add energy efficiency, beauty, and comfort to your home. 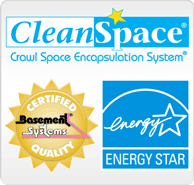 Mountain Crawl Space, Inc. also provides crawl space sealing and encapsulation! When you decide it's time to waterproof the crawl space and install a sump pump in your home, we are ready to help! We offer free, no-obligation inspections and written sump pump installation quotes to all homeowners in our Colorado service area. Call or contact us online today to get started!